Home › About the IELTS Exam › IELTS Frequently Asked Questions › Is There an IELTS Exam Age Limit? Are you old enough to take the IELTS? Or are you too old to take the IELTS? Never fear–I’ve dug up the facts on the IELTS exam age limit. Is 16 the Minimum IELTS Exam Age Limit? If you Google “IELTS exam age limit,” a lot of the top results seem to say that you can’t take the IELTS if you’re under 16. This is wrong, wrong, WRONG! But I don’t mean to be too harsh on the people that say this. The supposed 16 age limit is a pretty common misconception, actually. So why do people think you can’t take the IELTS under the age of 16? Where does this weird idea come from? Well, the truth is, it’s not such a weird idea. And it’s not far from the truth. The official makers of the IELTS do recommend against taking the IELTS if you’re younger than 16. But they absolutely do allow younger test-takers to register for the test without restriction. IELTS is made available worldwide to all persons, regardless of age, gender, race, nationality or religion but it is not recommended to persons under 16 years of age. Why does the IELTS recommend against taking the test before you’re 16? So, if you’re under 16 and are thinking of taking the IELTS, should you worry? Why do the test-makers say this is usually a bad idea? One of the biggest reasons is that IELTS scores expire after two years. So how is that a problem for younger test-takers? Well, the main reason people take the IELTS is to get into university or get a skilled migration visa to an English-speaking country. Generally, people don’t start uni or go overseas for work unless they’re at least 18. With some simple math, you can see the problem. For any test-taker under the age of 16, IELTS scores will almost certainly be expired by the time they start university or go abroad for work. If you’re under the age of 16, is there any reason to take the IELTS? Absolutely! Some high school foreign exchange programs, bilingual high schools, and international schools ask for IELTS scores. In addition, some countries like to see IELTS scores even for younger immigrants. Canada, for example, will consider IELTS scores for international migrants as young as 14. And of course, if you’re one of those ambitious and talented students who start high school at 17 or younger, it makes sense to take the IELTS before your sixteenth birthday. Are you ever too old to take the IELTS? 57 Responses to Is There an IELTS Exam Age Limit? my sister want go abroad for further study but her age is only 15 years. so she is eligible for IELTS test? I’m afraid I don’t understand your question. Two years after what? You can take the exam at any age, though it’s only recommended for those over 16. I am 32 year old so what can i do. May i give ielts examination. My mom is 47 yrs old.Can she apply for ielts? Hi i’m french , i’m 15 years old it’s young and i’m interested by the IELTS exam but i don’t know How can i have lessons ? Where i can find the program ? And if it’s really accessible? You’re 15 years old and already starting to study for the IELTS? Wow! With that much advance preparation, you’ve got a good chance of scoring well! 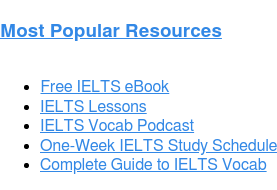 IELTS lessons are available through many sources. 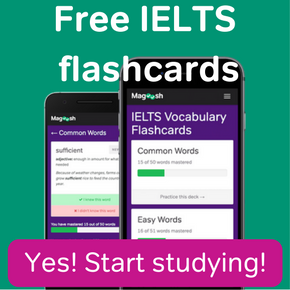 Magoosh IELTS offers video lessons. You may also be able to get face-to-face tutoring or IELTS classes where you live. To look at those options, I recommend talking to your high school English teacher or guidance counselor. 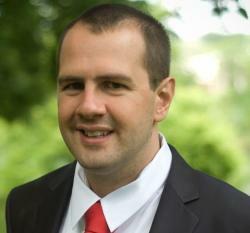 Those people should be able to give you some advice on where to find local IELTS instruction. I’m 17 and my aunt plans to bring me to Australia to study and work. 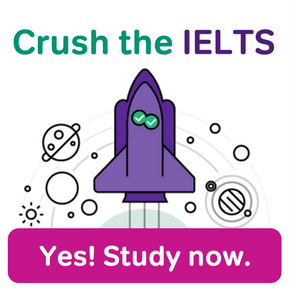 Should i take the ielts? I would say so. You’re very close to the age where you can get an Australian work visa or start at an Australian university, so now is a good time to take the test. Or perhaps take the testS. I’m using plural here, because Australia requires the IELTS Academic test for university, but wants to see an IELTS General Training test score for immigration. If you’re not sure whether you want to work or study, taking both exams will keep your options open. Hey! Can I apply for IELTS exam, my age is just 12 years. What ambitious young student you are! You certainly can take the IELTS at age 12. However, if you do this, you’d probably only be able to use the experience for practice. IELTS scores expire after two years. It’s probably more than two years before you could start at an international high school. And it’s definitely going to be more than two years before you could enter an overseas university or immigrate to an English-language country for a job. So if you take the IELTS now, your scores will probably expire before you can actually use them. Again though, experiencing a real IELTS could be good practice, and you’re certainly allowed to take the test, even if you’re only 12 right now. 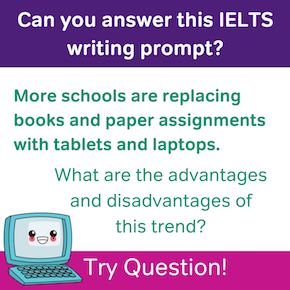 Can I write IELTS ? Absolutely. Not only that, but you’re at a very good age to take the IELTS. You’ll be old enough for university or overseas employment by next year. 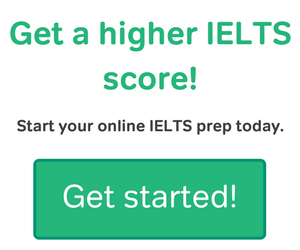 It can be good to start trying for a qualifying IELTS score now! My son is 7 and for him to apply for the Northwestern University Center for Talent Development’s programs an IELTS is required… Of course, even though he is gifted, he’s still only 7-years-old. I have undergone the Cambridge examinations and for them a lot of general culture is needed. As I do not really know IELTS, is it the same for it? Some general cultural information is definitely helpful on the IELTS. I’m a little surprised that they’re asking a 7 year old to do the IELTS at all though. 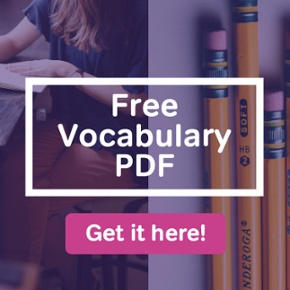 Some of the vocabulary in IELTS, especially in the longer reading passages, is way above anything that even a gifted native English speaking 7 year old would know. And pretty much the whole exam is really designed for older test-takers with higher attention spans, high school students or adults. M 28 can i give ielts acdemic test ???? Do one of my parent can go with me if I do Ilets before 12th and can one of my parent can do work there.pls. tell me. It sounds like you’re asking if one of your parents can enter the exam room with you and help you with the exam? Unfortunately, the answer to that is no. However, a parent could accompany you to the test center and meet you just outside the testing room after you finish. And with or without a parent, you can take the IELTS, no matter how young you are. I am 17,i know i can do ilets,but can i apply immediately for visa after ilets exam? That depends a lot on which country you’re emigrating to, and what kind of visa you’re going for. I would check with an immigration office if you are applying for a work visa. If you’re applying for a student visa, check with the school or schools that you’re applying for. Thanks for reaching out to Magoosh! Our expertise is in test prep, so I’m not sure if I can answer your question fully. In the US, students are usually 18 years old before they enter university, and they must complete 12 years of schooling for admission. There are programs like EF High School Exchange Year that allow secondary students to study in the US, but you would have to research their requirements and see if you qualify. Good luck! An English Language Test like the TOEFL or IELTS is required by most universities for admissions. You will have to look up the specific requirements for the schools where you wish to study. The IELTS is a paper-based test. Some people who are applying for a visa in the UK can take the IETLS on a computer, but you still must go to a specific testing center. You can see a complete list of places to take the IELTS here. Hi ! I am 13 years old can i apply for IELTS because i am very intersted in it. I think you’re asking if you can do IELTS after 10th grade? Yes, you can. Like I said, people of any age are permitted to akae the test. But remember, your scores are treated as expired after two years. So if you take the IELTS when you still have about 2 years of high school remaining, your scores may be seen as invalid by the time you actually send them to universities. For those reasons, I recommend taking the IELTS during or after the 11th grade. I’m 27 can i give it? And what score should i must obtain to get in to a reputed University. Is there any chance of scholarship? You can definitely take the IELTS at age 27, or at any age. Generally, you need at least a 6.5 to get into a good school, although some respectable schools will accept as low as a 6. There are a variety of scholarships you can get based on your IELTS score, as well as scholarships that aren’t dependent on IELTS score. Scholarship opportunities vary a good deal from uni to uni, so double check the websites of your target schools to see what scholarships might be available to you. As a 16 year old, you can take the IELTS, since the test is open to anyone at any age. All you’d need to do is go to the IELTS registration website and book an exam at your nearest test center. But be careful. IELTS scores are considered to be expired two years after the test date. So you may need to retake the IELTS at the end of high school, once your applying for schooling or work that requires the IELTS. I’m 17 yrs old .Can I give ielts test?Is there any age limit for this? There is no age limit or minimujm age for the IELTS; you can take it at any age! Is it worth for a 55 year old English teacher to take THE IELTS? Are there any expectations or prospects for a person that she? This really depends on why you want to take the IELTS. The IELTS is generally used for immigration or university admissions, but you may also want to take it in order to tutor students in the IELTS or to prove your proficiency as an English teacher. i am 17 years old and i completed 9th in india and then i come to italy and completed my secondary school and few months of high school can i do ielts and get admission in college in abroad for higher studies what are requirements for admissions ? can you help me ! 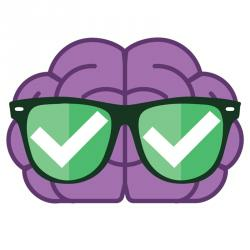 Our expertise is in test prep, not admissions advice, but this blog post might be helpful for you! It’s important to realize that different schools in different regions each have their own requirements–studying abroad is different in each country. Once you know where you want to study, you can easily look up the admissions requirements for different universities. Hello i am 17 years old girl from italy actually i completed my 9th standard in india in icse board abd then came to italy and completed my secondary school after secondary school here you have to take courses for future but i can’t see my future here i want to join high school in america . can i do ielts and can i take admission in high school with my 9th transfer certificate and secondary school certificate. I am Likith aged 14 years.and I wanted to write the exam and complete my secondary education in Brisbane and do part time job . Am I able to do that??. I can tell you that it definitely is possible for an international student to do secondary schooling in Australia. This link may be a good place to start as you research that possibility. Great questions! I know that Australians who hold student visas are eligible to work part time. However, I know that teens also have restrictions on how many hours they can work. So that’s a tricky question. You may need to check with Australian immigration to get a definitive answer on how much you could work as a secondary school student in Australia.